PID#33 SKI and Golf at Jack Frost Mountain. 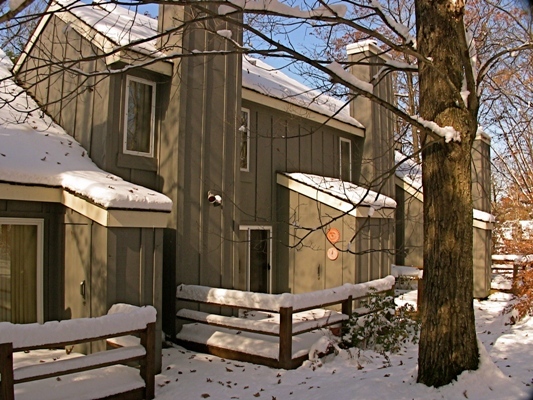 2 bedroom, 1.5 bath Condo in the South Woods section of the village. Stone fireplace, nicely equipped kitchen, LED TV'S in Living Room and both bedrooms, plenty of room after a day of skiing. Ski in and ski out with interconnecting trails to the village. Jack Frost National offers 18 holes of championship golf, Golf Week Magazine calls Jack Frost one of the best new golf courses in America. Snow Ridge Village is adjacent to the western slopes of Jack Frost Ski Area. Community is convenient to Lake Harmony, Split Rock, Rt. 80 and the Pa. Turnpike. You will also have access to Boulder Lake for summer time fun. Includes beach/lake and outdoor pool, tennis courts, boat rentals, and playground. This home DOES NOT come with a phone. Don’t forget your cell phones. Our homes are supplied with dishes, cookware, pillows, and blankets. Please bring towels, dish towels, linens and paper products. This home accommodates 4-5 people. Please do not exceed this number. Please make yourself familiar with the Rules and operation of your home and with the rules of the community. Please Do Not bring pets. For health reasons we are unable to allow them in our homes. This is a NON-SMOKING home. Smoking in this home will result in forfeiture of security deposit! Please observe check out time of 12:00pm. If there is a problem, please call our office immediately or you may be charged with an extra day.